Cucina Povera (the kitchen of the poor/frugal cooking) has its origins mainly in Southern Italy and dates back to times when families had no means to provide fancy, expensive foods. Many lower class, country families lived off the little they could afford to buy, but mostly on what they had in their cupboard or could yield from their own, small strip of land. What they cooked consisted mainly of their own crops and very little or no meat at all. All the ingredients used in their kitchen were simple and cheap, genuine and seasonal. With a little creativity they managed to turn what they had into something tasty. Most of the best-known, Italian Cucina Povera recipes probably come from the late 1800s as well as from the post-war time-period. 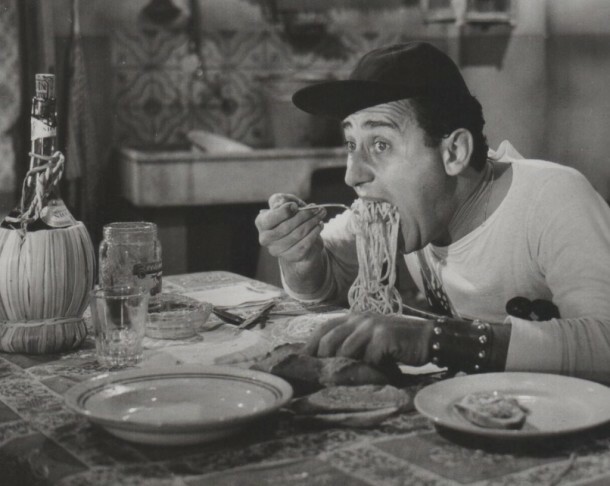 Both the First and the Second World War left Italy quite impoverished and this determined a change in diet. 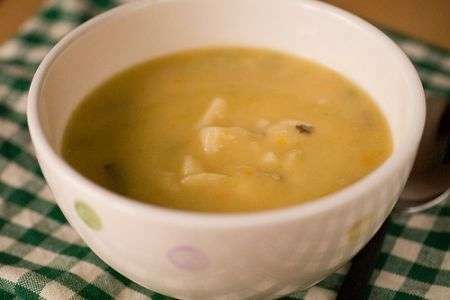 Some of the most popular foods would be potato soups, vegetable stews and pasta with beans or lentils. Meat dishes would be made from cuts of meat that would normally have been discarded. Recipes and techniques evolved from necessity and make-do recipes from farm to table were passed down through the generations. 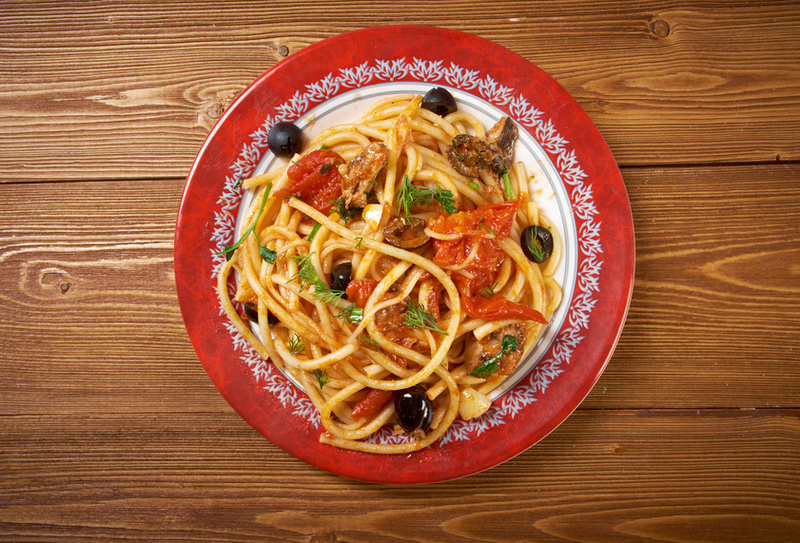 Today, Cucina Povera has had an upsurge in popularity and become a fashionable cooking style. It is a way to cut out excess, go back to ones roots and to a healthy, traditional way of using simple ingredients. 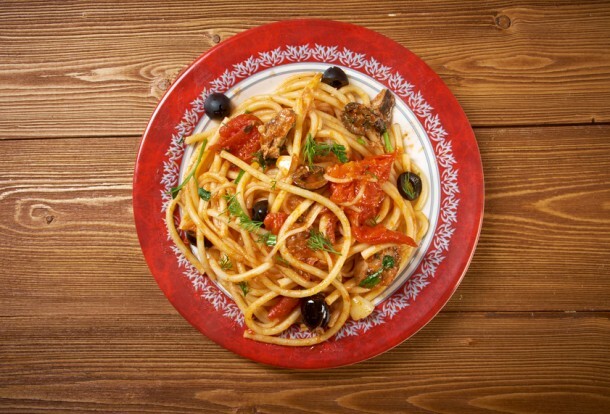 Here are 5 delicious Italian Cucina Povera Recipes you can try at home. You may have some of these ingredients in your cupboard already, but if you need to stock up, take a look at our list Vorrei’s essential Italian Store cupboard staples. Step 1 – Rinse 4 anchovies and finely chop them. In a pan put 6-7 tablespoons of extra virgin olive oil and let it heat slightly. Add the anchovies and let them dissolve in the oil. Step 2 – Meanwhile fill a large pan with plenty of salted water and bring to the boil. Step 3 – In a separate saucepan gently toast the breadcrumbs, being careful not to burn them adding a generous pinch of chilli powder. 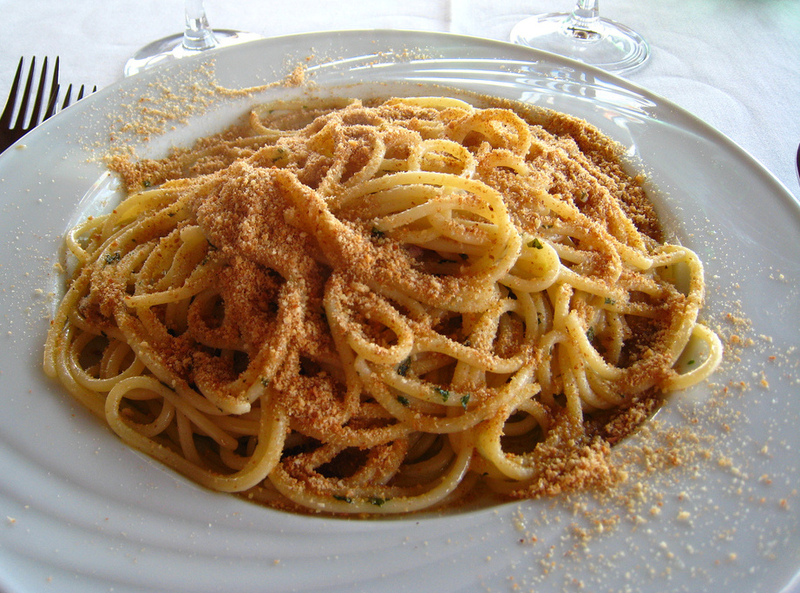 Step 4 – Drain the cooked ‘al dente’ pasta, add the olive oil and anchovy sauce and then the spicy bread crumbs. This is a perfect cucina povera dish for a family meal, it’s so quick and easy to prepare but really tasty! You could easily substitute the anchovies with a crushed clove of garlic if you prefer! Step 1 – Salt your water, boil and cook the pasta following the instructions on the packet. Step 2 – Place the olive oil in a pan with the black olives, the capers, the tomatoes (halved) and the chilli and stir-fry for a about 6 minutes. Step 3 – When the pasta is ready, drain it and add it to the sauce in the pan and sauté for 2 minutes. Place on a serving plate and tuck in! 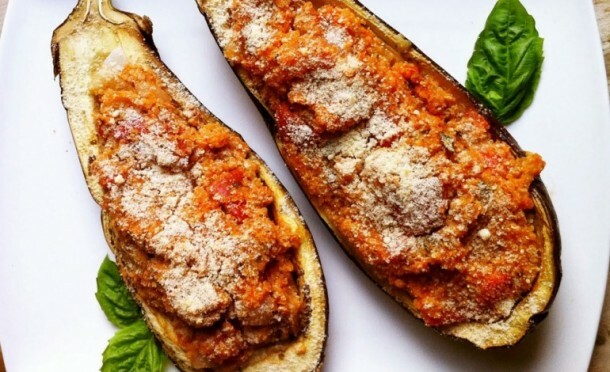 Step 1 – Cut the aubergines in half lengthways and scoop the pulp out. Dice it and place it in a bowl. Step 2 – Cut the tomatoes in half and put all the ingredients in the bowl with the diced aubergines. Stir with the olive oil, salt, pepper and chilli. Step 3 – Fill the aubergines with the mixture, decorate with the basil and a drizzle of olive oil and bake them at 180° for 20/30 minutes. Step 1 – Slice the onion and place it in a bowl with a spoon of vinegar. Leave for 2 – 2 ½ hours. 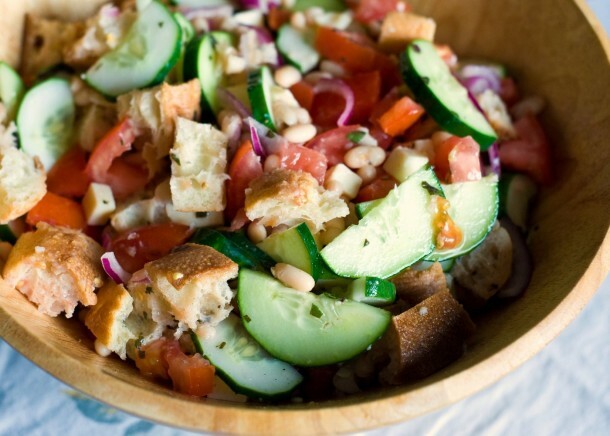 Step 2 – Slice the tomatoes, the cucumbers and the bread. Place the bread in a container and splash over it a solution made with two parts water and one part vinegar. Step 3 – When the bread is damp, squeeze it and shred it to pieces in a bowl. Add the tomatoes, cucumber, onion, capers, salt, pepper and olive oil. Shred the basil over it and mix it again. Step 4 – Leave in the fridge for about 2 hours then serve. Step 1 – Peel and dice the potatoes. Step 2 – Chop the parsley and garlic, add the salt and pepper and place it in a pan with the olive oil. Leave to fry for a few minutes. Step 3 – Add the potatoes and cook for 15 minutes. Step 4 – Add the shallots and the stock and cook for another 15/20 minutes. Serve hot with Parmesan cheese sprinked on top. If you wish you can also bulk out this tasty soup by adding some pasta – Vorrei’s Mista Corta would work really well. 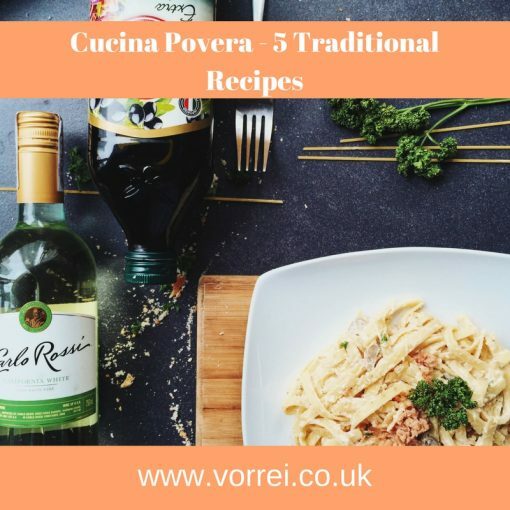 If you’re inspired by cooking more within Cucina Povera cooking style, take a look at our other blog post on Italian recipes for under £5 per person.